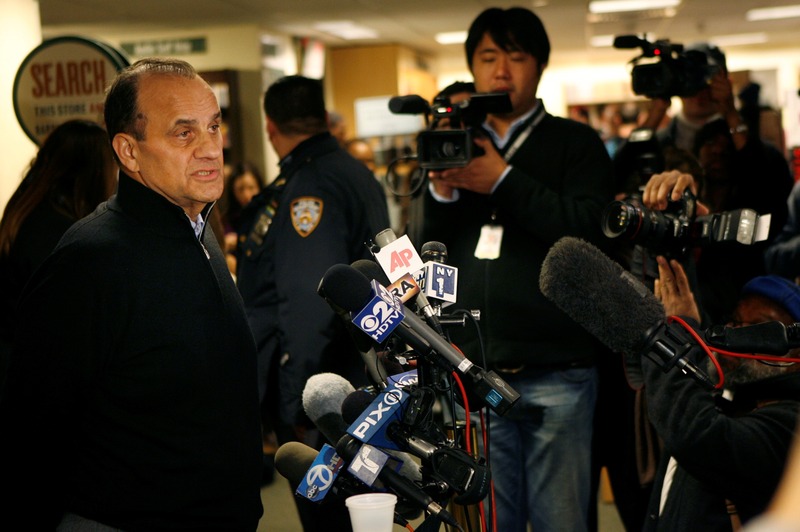 A veteran of baseball’s biggest stage, Joe Torre had his lines well rehearsed. No, he didn’t write anything controversial. No, he didn’t trash the clubhouse code. •Bonds evidence to be unsealed: A federal judge in San Francisco plans to unseal hundreds of pages of court documents today at the heart of the government’s case against home run king Barry Bonds, who’s accused of lying to a grand jury about using performance-enhancing drugs. •Citigroup won’t pull out of deal: The New York Mets and financially troubled Citigroup said that their $400 million naming rights deal for the team’s new stadium is still on, despite a published report by the Wall Street Journal that Citi may be looking to back out. •Dodgers still want Ramirez: The Dodgers are still trying to bring back Manny Ramirez. Only the enigmatic slugger doesn’t like their latest deal. •Padres sale on again: In a move that could prop up the team’s sagging on-field fortunes, former agent Jeff Moorad reached an agreement for his group to buy the San Diego Padres from majority owner John Moores for $500 million. It is subject to approval by baseball owners. Upon further review, Nielsen Media Research now says that the Arizona-Pittsburgh Super Bowl game was the most-watched in history. Nielsen said 98.7 million people, on average, were watching Pittsburgh’s 27-23 victory Sunday night. That beats the 97.5 million who watched the 2008 game, which held the record for most popular Super Bowl. On Monday, Nielsen had reported that this year’s game had 95.4 million viewers. •Warner Cardinals’ priority: Kurt Warner’s future is chief among the serious contract issues facing the Arizona Cardinals in the aftermath of their improbable run to the Super Bowl. Warner said that he has no timetable for a decision on whether he will retire from the game. Ray Allen took a perfect pass from Paul Pierce and buried a baseline 3-pointer with 0.5 seconds left to give the Boston Celtics their 12th straight victory, 100-99 over the host Philadelphia 76ers. Andre Iguodala had just hit a fallaway jumper for a 99-97 lead for the Sixers. •Cavs 23-0 at home: LeBron James scored 33 and eclipsed 12,000 points for his career, and the Cleveland Cavaliers remained flawless on their floor by winning their 23rd straight home game, 101-83 over the Toronto Raptors. James became the youngest player in NBA history to reach the 12,000-point plateau. At 24 years, 35 days, he did it quicker than Lakers star Kobe Bryant, who was 25 years, 220 days, when he did it. •Starless Spurs lose: With Tim Duncan, Tony Parker and Manu Ginobili all sidelined, the Denver Nuggets took advantage for a 104-96 win over the visiting San Antonio Spurs. Ginobili has a bruised hip and Duncan and Parker were given the night off. Michael Nylander scored two goals and the visiting Washington Capitals snapped the New Jersey Devils’ season-high eight-game winning streak with a 5-2 victory. Defenseman Mike Green scored for the fourth straight game and Alex Ovechkin added two assists as Washington won its third straight. American skier Lindsey Vonn won the super-G at the World Championships in Val d’Isere, France, for her first major gold medal. Vonn finished in 1 minute, 20.73 seconds. France’s Marie Marchand- Arvier was second and Andrea Fischbacher of Austria was third. •Phelps may be charged: Olympic superstar Michael Phelps could face criminal charges in Columbia, S.C., as part of the fallout from a photo that surfaced showing the swimmer smoking from a marijuana pipe at a University of South Carolina house party. •Beckham in demand: David Beckham has the support of AC Milan if he wants to get out of his Los Angeles Galaxy contract to stay in Italy. Beckham is halfway through a three-month loan with Milan and he’s told the Italian media he’s enjoyed his return to Europe more than he expected. The Galaxy has said that it wants Beckham back when the loan ends. •CBA shortens season: The Continental Basketball Association ended its season early, forced to shut down two months ahead of schedule because of financial difficulties. •IRL affected: The Indy Racing League is shifting gears as Series officials acknowledged that economics has made cost-cutting a top priority. A planned engine change, scheduled for 2011, could be delayed one year, and the traditional three-year engine cycle may be extended to five years.